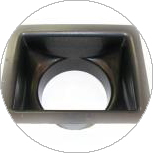 Mermaid Manufacturing has all of the accessories you need to comfortably control the climate of your vessel or small space. All of our products are manufactured by our expert technicians in the United States. 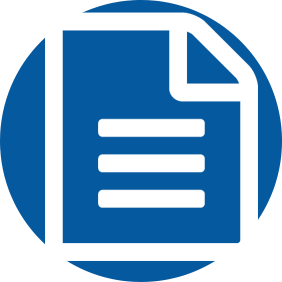 If you need something you don’t see here, please send us an email at info@mmair.com and one of our representatives will assist you. 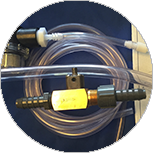 The Mermaid Condensator is the simple solution to water in your bilge or sump pumps. Read more about our easy to install marine condensator here. Our wood supply air grills merge functionality with beautiful design. 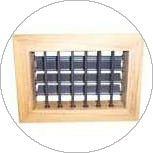 Our teak, mahogany, oak, ash, maple, or cherry supply vents will match any decor. They aren’t just good looking, however. They are an essential part of your marine climate control system. 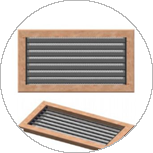 Our wooden return air grills have all of the beauty and functionality of our supply air grills. We have several sizes in stock and custom orders can be placed as well. Please allow 4-6 weeks lead time for your custom order. For spaces that can’t accommodate wood framed grills, chose from our array of plastic air grills and registers. These grills have a much nicer appearance than standard aluminum grills and are manufactured from high grade plastic. 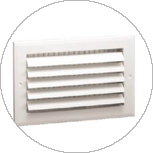 All plastic air grills feature built in louvers and a mounting flange for clean and easy installation. Upgrade your vent appearance today. Choose from one of several styles and sizes of plastic transition boxes to finish your installation. Another marine air accessory you need to sufficiently handle your climate control are plastic Y air splitters. These splitters are similar to the adapter and hose T style splitters and they come in various sizes to suit your needs and space. 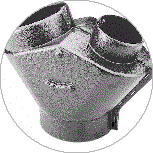 Adapter splitters work in conjunction with your air output collar. 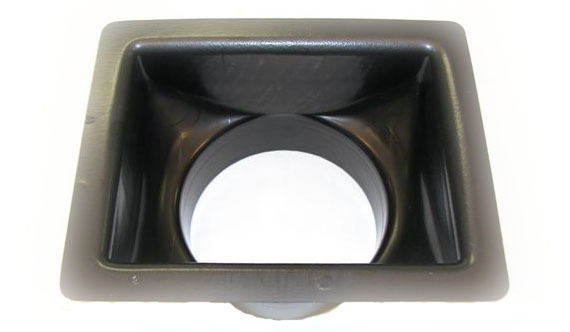 Our hose splitters accept duct attachment on all three ports. Here you will find adapter and hose “T” air splitters. 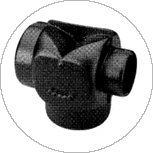 Similar to the Adapter and Hose “Y” splitters, the “T” splitters come in various sizes.